This past Sunday, to mark the anniversary of the horrific and needless death of Michael Brown, my congregation took a 4 1/2 minute silence during worship, and we shared a printed list of the names of 96 unarmed black people and the dates each was killed by police over the past year. Sandra Bland’s name was on that list. She would be alive today if it weren’t for atrocious police action. 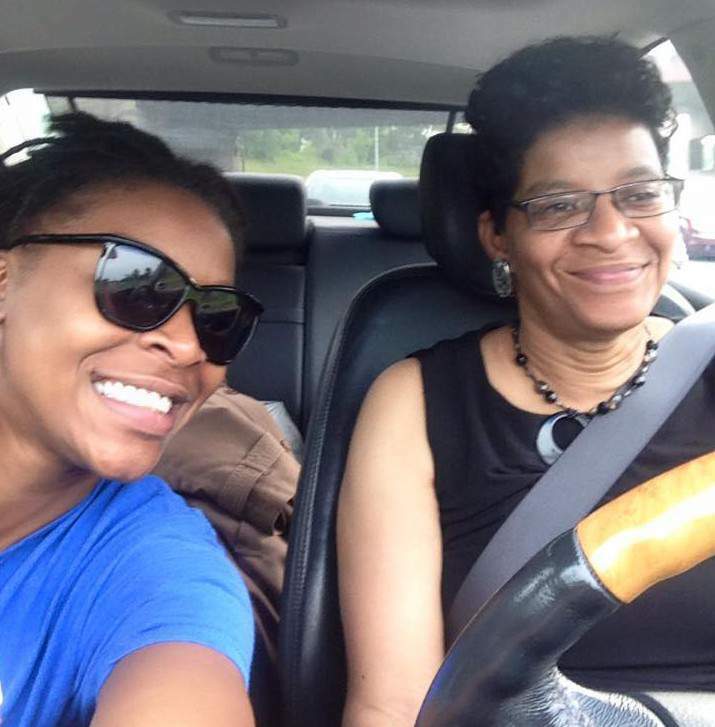 That Sandra Bland was pulled over and harassed after making way for a police car to pass without signaling is shocking. That she was handcuffed, manhandled, and jailed is outrageous. This morning I attended a gathering of Chicago pastors on the westside known as The Leaders Network. One of the pastors in this group, Bishop Jeffrey Davis, has long served as the pastor of Sandra Bland’s family. Bland’s mother, Geneva Reed-Veal, is an active member of Bishop Davis’s The Word Works Church in Humboldt Park. Bishop Davis brought Ms. Reed-Veal to speak with us and to receive prayer from us. It was a powerful gathering. I was reminded of the power of that comes when people of faith come together in the face of overpowering grief and shared lamentation regarding gross abuse of power. As Ms. Reed-Veal got up to speak, I was struck by how she demonstrated strength and clarity. She’s not looking for pity or sympathy for the tragic loss of her daughter. She’s not even looking for people to express their anger and rage to her. She’s not looking for people to vent about what’s wrong with the world. What does she want? this woman who has buried her baby? She’s looking for people to wake up to the truth that a profound sickness has a hold of our nation. A sickness that treats people of color as less than other people. She’s looking for people who will act and refuse to be silent in front of injustice and inhumanity. One of her words jumped out at me: “anchored.” She spoke of being anchored to a faith community that calls her to ground herself in love rather than anger. And that’s what I am grateful to be reminded of. It’s what we all need when we face crisis. I can’t but think of how Rev. Martin Luther King, Jr., spoke of being anchored in a faith community so that we can be instruments of love, radical love. Now that there is only one degree of separation between me and the late Sandra Bland, notably her mother and her mother’s pastor, this work is ever more personal. I can imagine what a bright, thoughtful, articulate person Sandra must have been because her mother is such a devoted, thoughtful, and engaging individual. Her testimony fuels me for the journey. Sandra Bland’s death and the death of so many others point to a profound sickness in our nation--and in ourselves. We must wake up to love, radical love, born of crisis, struggle, and hope. I’m grateful for the Leaders Network that calls us to uncover and generate this kind of love, to act on it in connection with others, keeping hope alive, and to bring forth the Beloved Community. Thank you Alan. Excellent post.